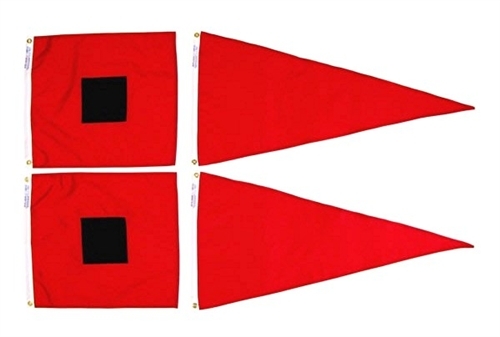 You may find the Boat Hotline helpful in tracking various boat traffic. The Hotline is managed by the Lake Superior Marine Museum Staff and is updated throughout the day. I have added the phone # 218 722-6489 to the Right Sidebar for your convenience. MANITOULIN arrived Two Harbors this morning. Half of photography is being in the right place at the right time, the other half is sharing. With the streaming cameras, you can be at some of the most scenic places in the Northland just by watching the live streams. Also, by using your phone, you can be the photographer that captures the moment that everyone else missed. 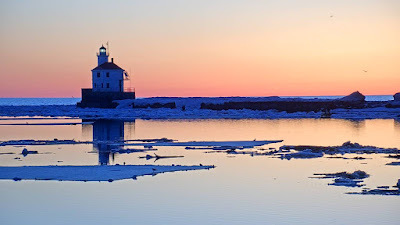 The harborcams are there for a reason -- to share the beauty of the Northland and the photo you capture can bring a lot of enjoyment to people, such as this image captured by Robert Peterson Jr.
Feel free to snap away. You can share on your Facebook page or the harborcam Facebook page, Instagram or anywhere else. Try to tag the harborcam page if possible. I am looking forward to seeing your photography! The picture you take is yours to do with what you like. 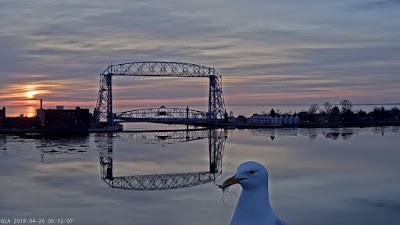 Narew arrived Duluth this morning under the watchful eye of Johnathan Livingston Seagull. Narew will be loading grain. 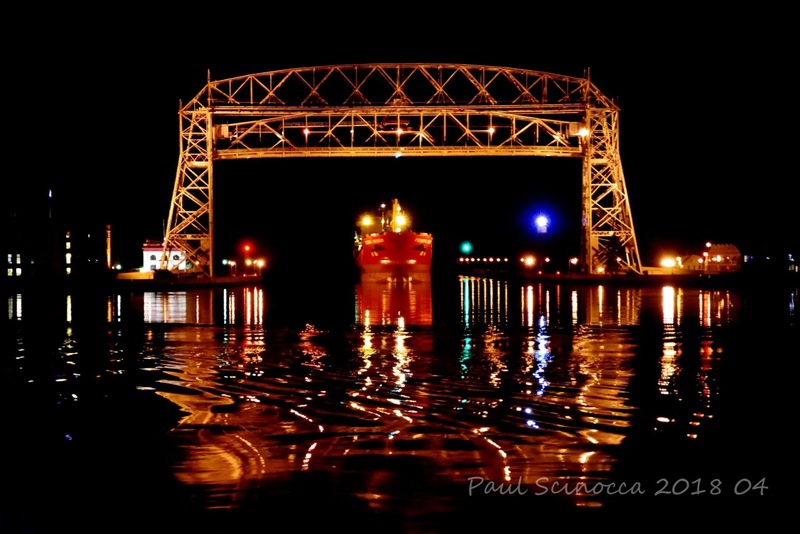 Burns Harbor arrived Superior early this morning to load iron pellets. 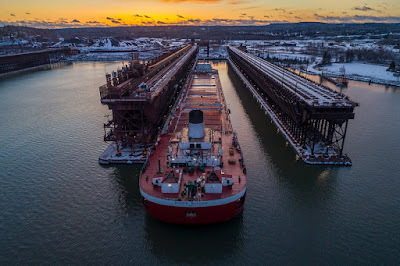 Isa and MICHIPICOTEN arrived Duluth early this morning. BAIE COMEAU arrived Superior this morning to load iron. American Spirit departed and Edwin H Gott arrived Two Harbors early this morning. Cedarglen arrived Duluth this afternoon to load pellets. Don't forget to wave to the crew member waving the big hand! Narew arrived Duluth this morning to load grain. Yesterday I tilted the Canal cam up a bit and increased the resolution of the video. Let me know if you have any issues. My intent is the get all the cams streaming at the same HD resolution. James R Barker arrived Duluth late Thursday. Wisconsin Point Lighthouse flyby - I couldn't resist! The generosity of harborcam friends never ceases to amaze me. 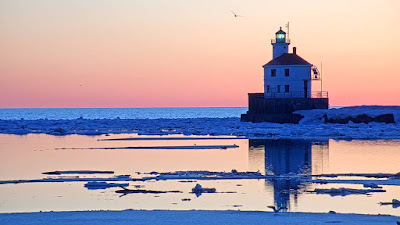 We started the Wisconsin Point Cam project two months ago when, after some coaxing from watchers, I decided to take another look at the possibilities. After finally finding a location that had power available and an antenna system that had promise, I decided to give it a go! Wiring modifications needed to made ($2400) a camera purchased, ($1800) and antenna system ($500). Along with this work, additional work needed to be done by the Corps of Engineers on the Lighting system. With some weather delays, the Wisconsin Point Cam Project was complete a few days ago. While we had to make a few compromises, such as not having the cam exactly facing the canal due to safety concerns of having to hang out over the canal to work on the camera, and the fact that boats block the transmission signal for a few minutes while they pass alongside the camera, overall I think it turned out great. The video stream is stable and picture quality is very good. My biggest concern was the quality of the video stream over the 6.5 miles distance from the Superior Entry to my office (I call Harbor Hub). The Wi-fi antenna was easy to align and so far so good. We'll see how it works in fog. Also, it should be noted that this is a joint project with the Lake Superior Maritime Museum and you - all of the 120 folks that helped raise the $4500 for the project and the daily visitors. I am happy to have been part of this, it is unusual for joint efforts to go as smoothly as this did. Besides the two cams in Two Harbors (Two Harbors Chamber and LSMMA) and the cams at the canal (LSMMA) there are now six cams, an AIS antenna, and marine scanner) all streaming through the Harbor Hub). 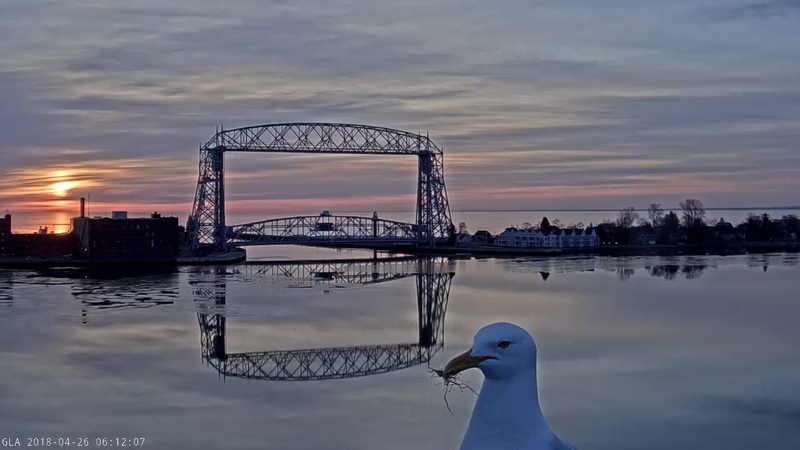 So, I must admit, I love the cams, but mostly the fact that so many other folks get enjoyment from these little windows to the world and a small peek at the beauty of the Northland. It's beginning to look like a police station. Thunder Bay departed Superior this afternoon loaded with iron. Update 14:00 : Harborcam is now adjusted to view fire. A Major refinery in Superior is on fire and visible on the Pier B Cam. 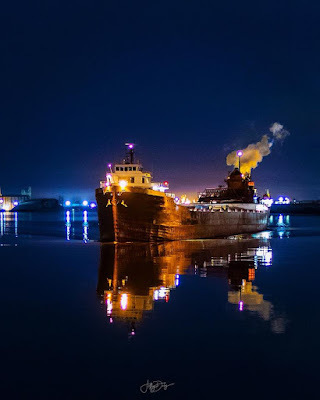 Algoma Equinox departed, Thunder Bay arrived Superior in the dark of night. Lee A Tregurtha arrived Superior this afternoon to load pellets. Algoma Equinox arrived Superior to load pellets. A beautiful morning at Wisconsin Point through our new cam. Virginiaborg departed Duluth this evening loaded with grain. MICHIPICOTEN arrived Duluth this afternoon to load iron. The Wisconsin Point Cam is now live. I still have tweaking to do, but, it is working fairly good at this point. Expect intermittent operation while I adjust settings. The video signal must be wirelessly transmitted 6.5 miles, so I expect that it will not be as solid as the rest. Thanks to all who donated to the project and the Lake Superior Marine Museum for help in getting this camera located. Enjoy the view which few people have been able to see up until now. Great Republic arrived Duluth Monday loaded with limestone. Just an update on the progress of the Superior Entry Cam. There is some router programming and set up left to finish. We have made a lot of progress today and I am hoping to get the cam online by the weekend. 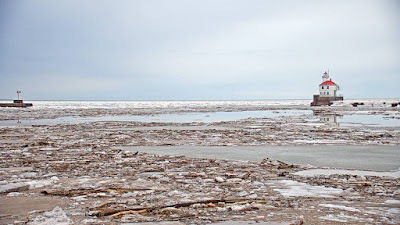 Presque Isle arrived Two Harbors this morning. Labrador arrived Duluth Sunday night to load grain. Here is a story from FOX 21 news describing recent developments on the seawall project near the DECC. Federal Weser departed Duluth this evening loaded with grain. The official boat schedule site that is kept up to date by the Visitor Center staff is harborlookout.com -- duluthboats.com is still around and has lots of good information and history including longer-range and special boat schedules. So keep both bookmarked for your reference. Note also that this is a "work in progress" with lots of kinks to work out. timing should get better as time goes on. Also, I am not the one who operates and manages it, so, I look forward to refinement just like you. 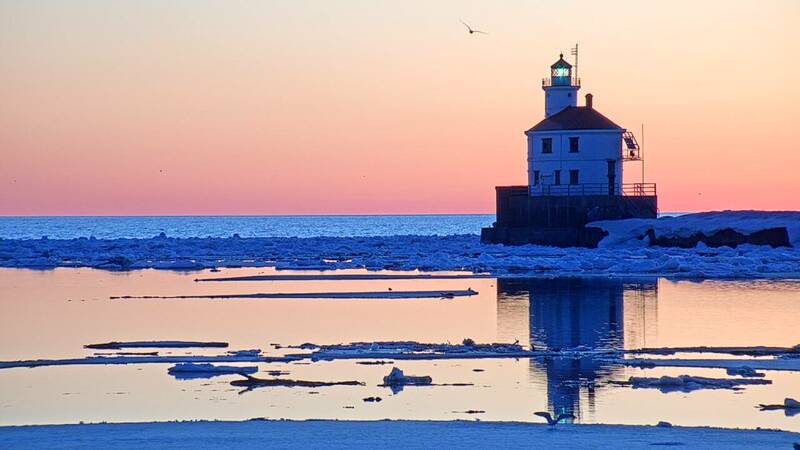 American Century arrived Two Harbors Wednesday evening. Apparently, we have lots of folks who knew where she was. -- thank you all! Does anyone know where the Paul R Tregurtha is? Must be in a shipyard somewhere with AIS off. CSL Tadoussac arrived Duluth this evening. A natural progression in Life--it would seem. And to God be the Glory in all that You do! 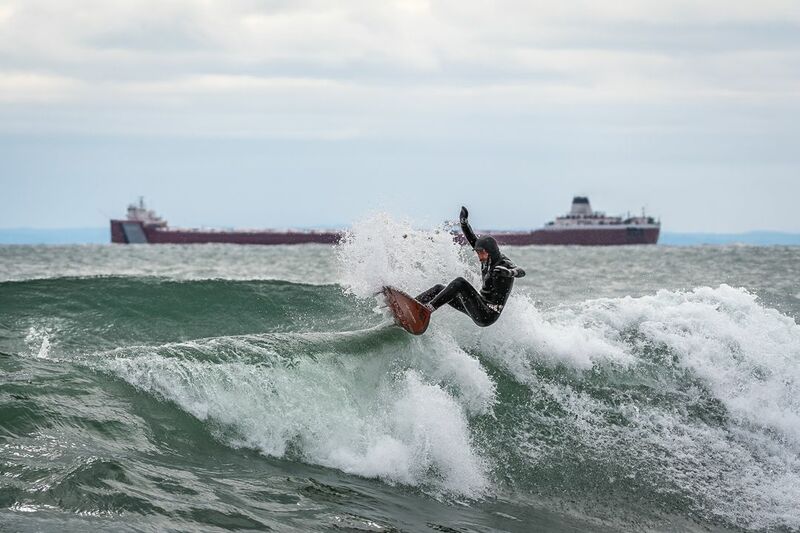 Lake Superior provides lots of recreation, even surfing during high waves. 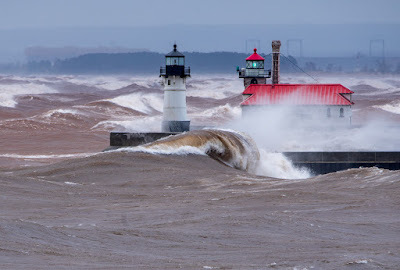 The Roger Blough is in the background. Hopefully, the Superior Entry Cam Project will be able to get in gear this week. I often run out of time to post all of the boats, however, if you missed your favorite boat, just shoot me an email and I will try and get it for you. Beautiful Sunset of the Roger Blough loading in Two Harbors taken by Christian Dalbec. 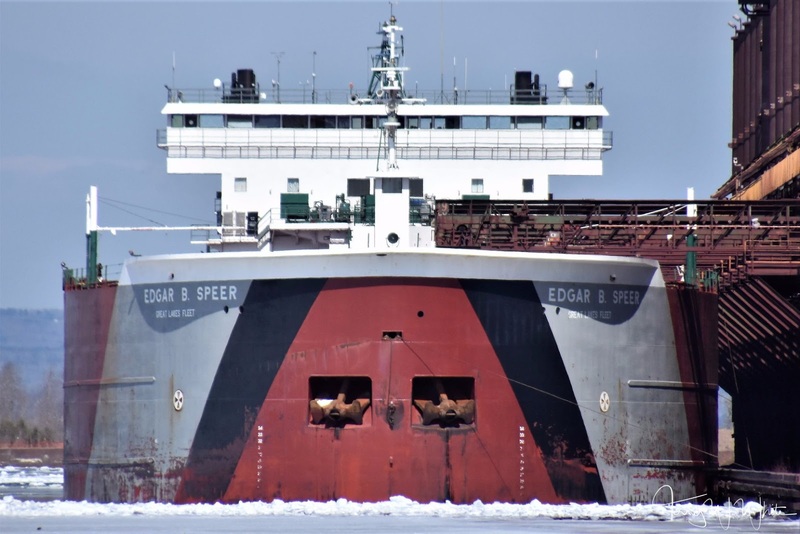 Edwin H Gott departed Two Harbors this afternoon. Indiana Harbor arrived Duluth this morning to load coal. After hiding out behind Sand Island in the Apostles for the weekend storm, the Michipicoten arrived in Duluth this morning. 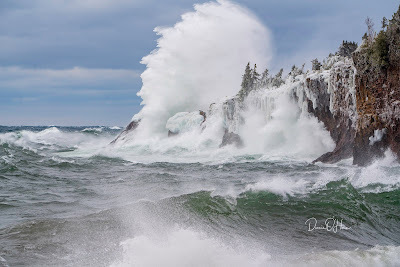 Wave watching during Noreasters is an incredible experience. 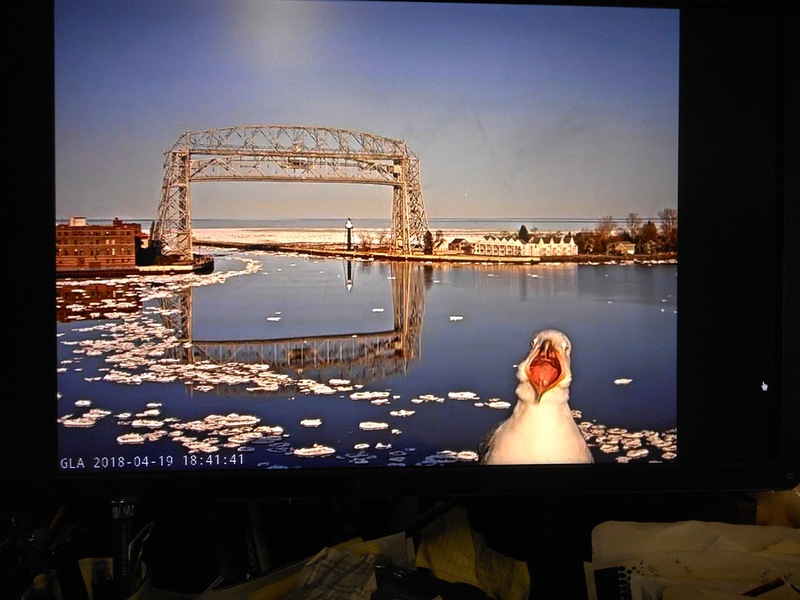 Sometimes watchers get a bit too close as shown in this scene from the Duluth Canal Cam taken Saturday evening. I was able to take a few pictures Saturday during the storm, well maybe more than a few. So, I have made a gallery over on my website for anyone interested. 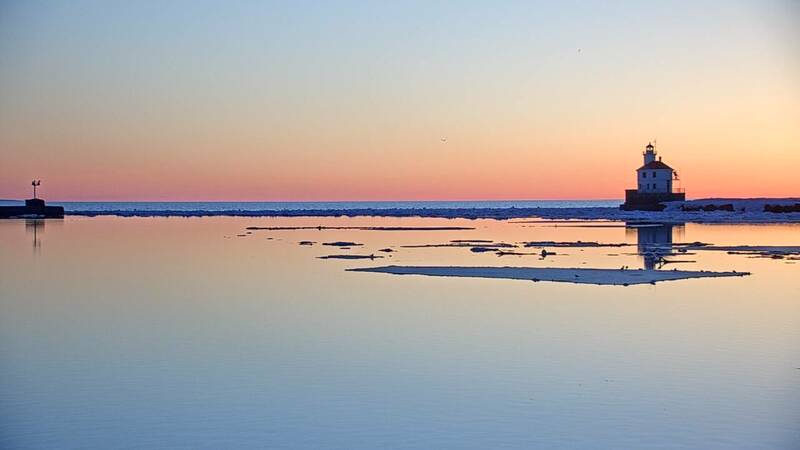 You can view the images here at northernimages.com -- Enjoy the scenery! There is a small heater inside the case of the canal cam that will melt the ice, however, it is building up faster than it can be melted. 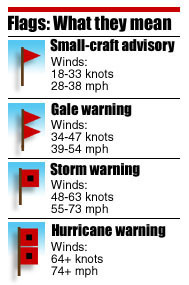 Once the winds change, it should clear up. I spent the day enjoying the storm! Gale Warnings posted for Lake Superior - Strong Noreaster blowing in! 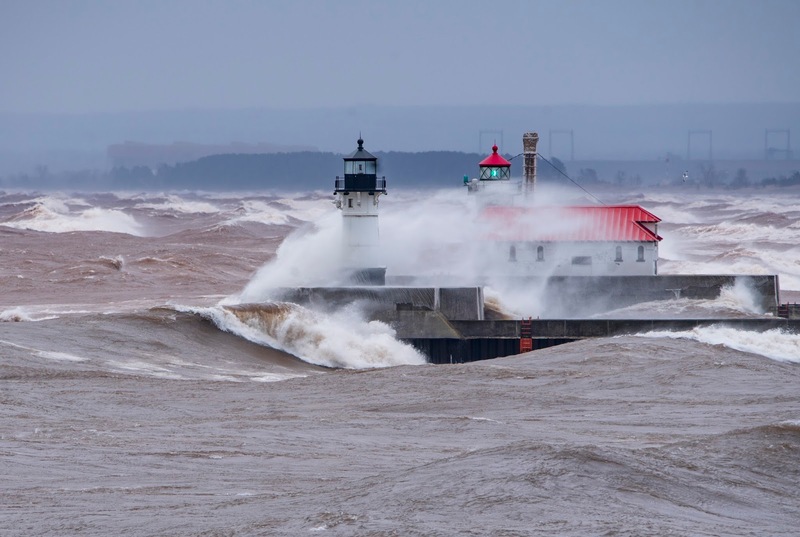 Boats are being warned to take shelter and storm and gale warnings are now posted on Lake Superior through Sunday. Winds will increase overnight with gusts over 50MPH on Saturday. Shoreline flooding and damage is expected. The Mesabi Miner arrived Duluth just after midnight to load iron pellets. The Federal Weser arrived Duluth this evening to become the first Saltie to arrive in Duluth doe the 2018 shipping season. The Waser will be loading grain. 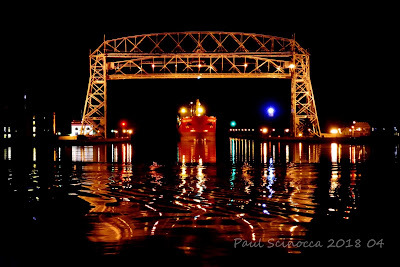 FYI, The Federal Weser will be arriving Duluth at about 21:30 this evening to be the first Saltie of the season. The Federal Weser will be loading grain at CHS. Here is a recording of it back in 2015. Terry White is an avid boat photographer and often can be seen on the shoreline and terminals taking great images of the big boats. You can see more of Terry's work on his Facebook page. 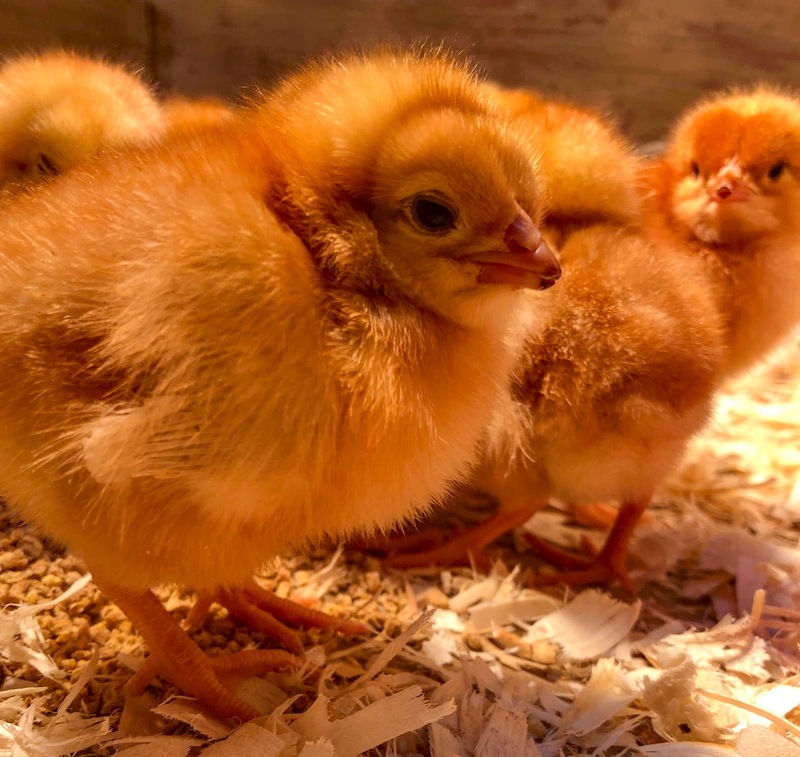 Picked up some hot chicks this morning! 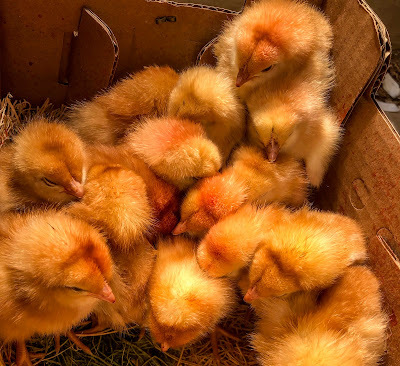 This morning I picked up a new bunch of chickens that came in overnight and were waiting at the Post Office for me. They will be kept in a nice warm brooder for a few weeks and then moved to the coop. The girls are happy in their new home and we should have fresh eggs by August. 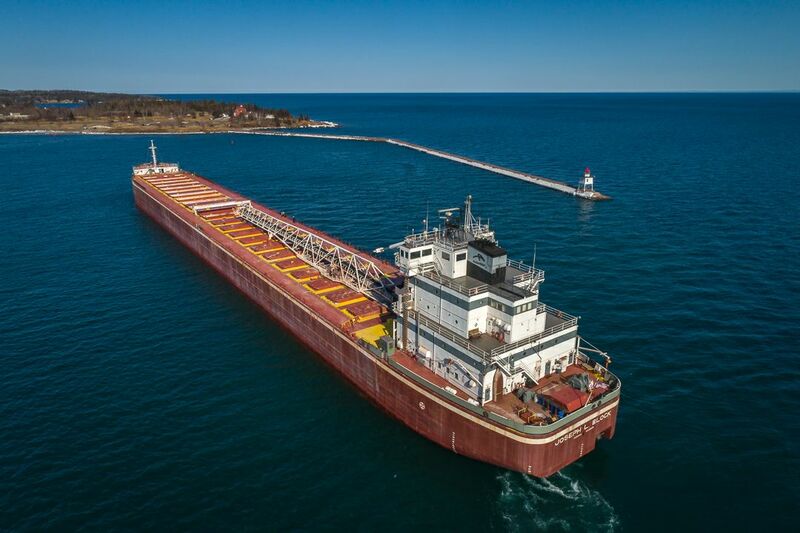 Algoma Discovery arrived Two Harbors this afternoon. Cason J Callaway arrived Duluth this afternoon to load iron pellets. James R Barker arrived Duluth Monday evening to load iron pellets. Just an update on camera stuff. 1. I was able to get on the roof of the GLA this morning and make some final adjustments to the new GLA cam. 2. Work will be starting this week on the new Superior Entry camera. 3. The Pier B cam is set up to auto change views. Edwin H Gott arrived Duluth this afternoon to load iron pellets. Walter J McCarthy Jr arrived Two Harbors this afternoon under sunny skies. 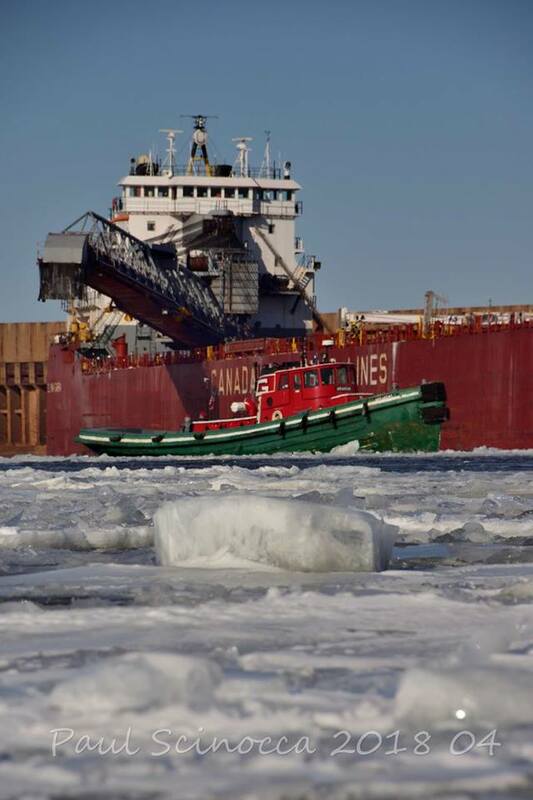 John G Munson departed Two Harbors this morning loaded with iron pellets. Cason J Callway arrived Duluth this morning to load iron pellets. Walter J McCarthy Jr arrived Duluth this morning to load coal. 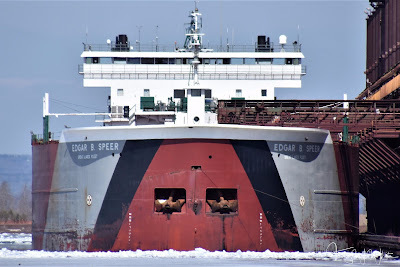 Edgar B Speer arrived Two Harbors this morning to load iron pellets.